Earlier this year Sheldon Adelson received planning permission to build a Las Vegas style casino and hotel complex on the outskirts of the Spanish capital of Madrid. Since then Adelson has confirmed that he will be creating a strip roughly half the length of Las Vegas’ which is 4.5 miles long. 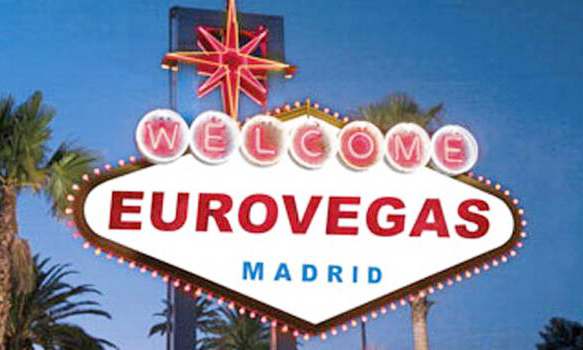 The project in Spain, dubbed ‘EuroVegas’, will contain six super-casinos and 12 hotels. Adelson is hoping that the new complex will attract visitors from across Europe and Russia. The news comes as no surprise considering the growing popularity of online gambling. There are well over 40 major casino providers online and revenues are expected to be over $182 billion by 2015. In England, after a government plan to build a super casino in Manchester was scrapped, a total of 16 were built in its place across the country and there is now a casino in most major cities and towns. There are also hundreds of online casinos operating within the UK. It is now possible to gamble 24/7 without leaving your home and thanks to mobile and tablet apps you can continue playing even when not at home.